ETC is getting ready to exhibit for the first time at the InfoComm MEA tradeshow, which will be held at Dubai’s World Trade Centre, October 20-24. Working closely with representatives from UAE distributor Oasis Enterprises, ETC staff will be on hand on stand TA-G31to talk about projects and demonstrate a range of products. Fixtures and control products from ETC have been included on installations in the region, including: Yas Waterworld, Ferrari World, The Sheikh Zayed Grand Mosque, Burj Khalifa, Al Jazeera TV, Qatar TV, MBC TV / Al Arabiya studios and Dubai Mall aquarium. ETC Selador Desire LED wash fixtures, including the D40XTI outdoor version, will be on display. Desire luminaires are available in seven arrays: Lustr+ for a complete range of colour mixing; Vivid for bold colours; Fire for warm-spectrum hues; Ice for cool spectrum tones; fixed colour temperature white light options Studio Daylight and Studio Tungsten; and Studio HD for variable colour temperature white light. The Desire D40XTI is safe for use outdoors in any weather, with a dust- and weather-resistant IP66-rated design that makes it the perfect tool to bring out architectural details of a building’s façade or for installation in an outdoor theatre. The latest addition to the Desire family is D22, a very compact 20cm design that weighs less than three kilograms. It comes in three versions: portable, ceiling/canopy-mount or with with Eutrac adapter for track mounting. 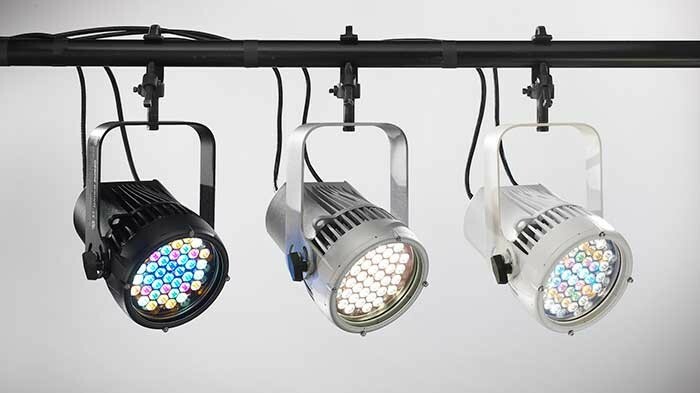 Source Four LED profile spots, including the new white-light specialist Studio HD, have already proved extremely popular worldwide since their introduction a year ago. Like Selador Desire, the Source Four LED comes in a variety of options dedicated to particular uses. The new Source Four LED CYC adaptor provides smooth, even lighting of cycloramas and other large surfaces. By removing the lens barrel of a Source Four LED luminaire, the CYC adapter can be attached to the fixture, turning it into a powerful cyc light. In use at the Sheikh Zayed Grand Mosque centre and Burj Khalifa skyscraper, ETC’s Unison Paradigm architectural control system makes lighting easy to operate for both trained and untrained staff. Lighting technicians, front-of-house staff and custodians each require access to different lighting states. Paradigm offers this at the touch of a button, as ETC staff can demonstrate at InfoComm MEA. The latest addition to the ETC control family is the Cobalt 20 desk, Cobalt Light Server and Cobalt Nomad, which runs on a user’s own laptop or desktop PC. The powerful ETC Eos line features the new flagship Eos Titanium (Eos Ti) desk, which offers easy-to-navigate software, common-sense syntax and stunning, high-resolution, multi-touch screens with substantial programming surface to simplify the programming process. Rack-mounted remote processor units are also available to control the lighting in the background or act as backups. 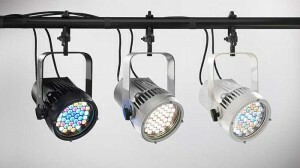 As requirements for entertainment lighting have changed with the inclusion of moving lights and LEDs, so has ETC’s power control range. ETC Sensor3 Power Control is now available with ThruPower modules that instantly switch between dim, relay and switch, depending on need. Staff will be available to discuss with stand visitors how ETC power control can work in different situations. Please visit ETC at their stand, number TA-G31, at InfoComm MEA, at Dubai’s World Trade Centre, 20-24 October, to discuss these and the rest of our products and services, and to see how ETC can work on your project or installation. In picture: The Selador Desire D40XTI will be available for demonstration on ETC’s stand at InfoComm MEA.